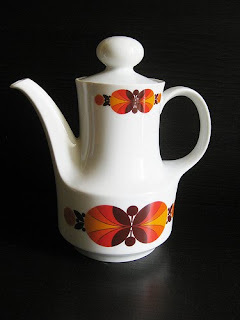 Modish Vintage inspired this post today when she said that tea would taste better in a vintage teapot. 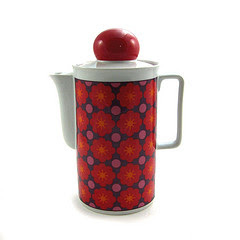 I am very attracted to vintage tea pots of the mid century and mod persuasion, of course, but I have to hold myself back from buying them as I'm not sure I'd ever actually use them. 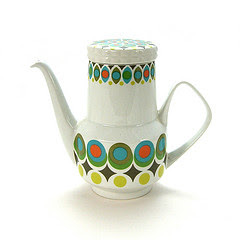 I love the idea of serving tea from a bonafide tea pot. I currently own two but I have no idea how to make tea in them. Well, I suppose I do have an idea but the pots seem quite large and I don't know what ratio of tea bag to water should be used. I even bought matching plates and cups for the first pot, when I stumbled across them at a boot sale which have so far remained unused. Oh I love this post! :D I drink tea everyday but I love at parties at my aunts house when she pulls out the tea pot cause I always serve everyone for her :) I wish I had a cool tea pot. Great post! 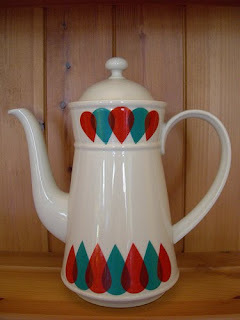 I just realised something - all the spouts are pointing in the same direction. Maybe because most people are right handed its easier to put them down that way. They are all soooo lovely! 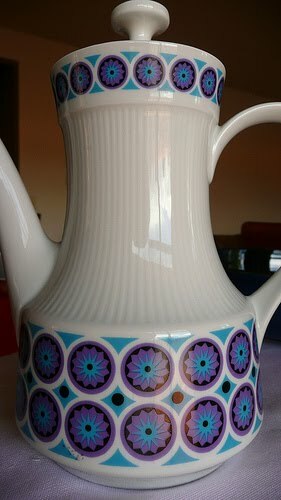 I was recently given a Jessie Tait coffee pot and it is beautiful! 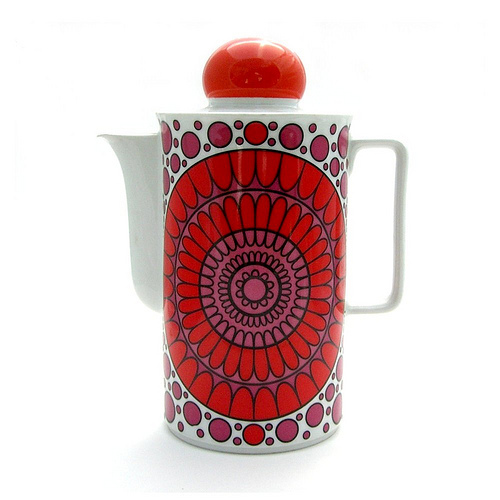 Lovely, lovely teapots. I wish I could collect them, but alas no room for display.